Larry Scheckel taught high school-level physics and aerospace science for over 38 years. He was named Tomah (Wisconsin) Teacher of the Year three times, and Presidential Awardee at the state level for six years. 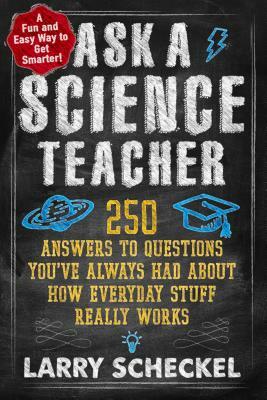 Scheckel has authored articles for The Science Teacher magazine and The Physics Teacher magazine, and for a number of years has answered science-related questions in the twice-weekly Tomah Times, out of which this book grew. Scheckel has been a Science Olympiad coach, robotics mentor, organized star gazing sessions, and given orientation flights to students, and he has given presentations to thousands of adults and students in such venues as Children's Museums, Boys and Girls Clubs, Rotary, and conventions.He lives with his wife in Tomah, Wisconsin.